Tuesday of the Dutch Data Science Week 2018 with the Eneco Hackathon in Rotterdam and Deep Learning training at GoDataDriven in Amsterdam. In the evening followed by the Meetup Blockchain in Business. Participants of the Eneco hackathon sure had a lot of energy which they used very efficiently to come up with innovative solutions! When we say deep learning, we really mean deep learning. Rodrigo Agundez led the Deep Learning Training Special. Everyone had great fun! On May 29 as part of the Dutch Data Science Week 2018 hosted by GoDataDriven. Here you’ll find a summary of the day by Rodrigo! To finish another exciting day we had Blockchain in Business Meetup with Schiphol – Transavia – Zorginstituut – Ledger Leopard and Safeguard App! 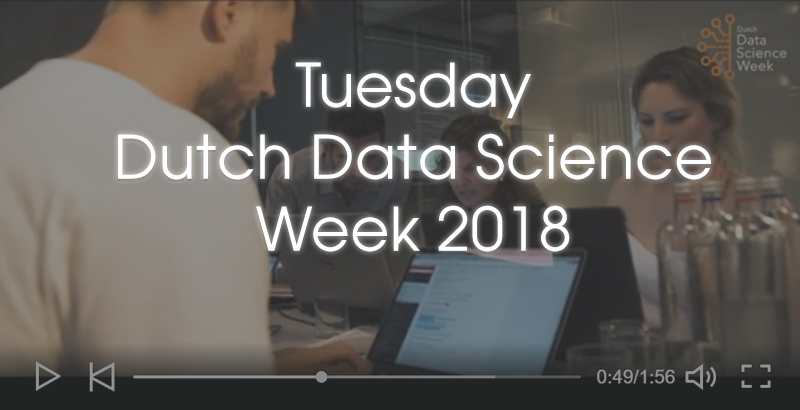 Check out our #DDSW18 playlist for the latest videos and live streams from Dutch Data Science Week 2018!